I've never been a huge fan of skulls (I was probably the only fashion writer on the planet who didn't absolutely swoon over McQueen's iconic skull scarf), but lately I've been seeing lots of chic ways to style them, and suddenly I find them slightly appealing. 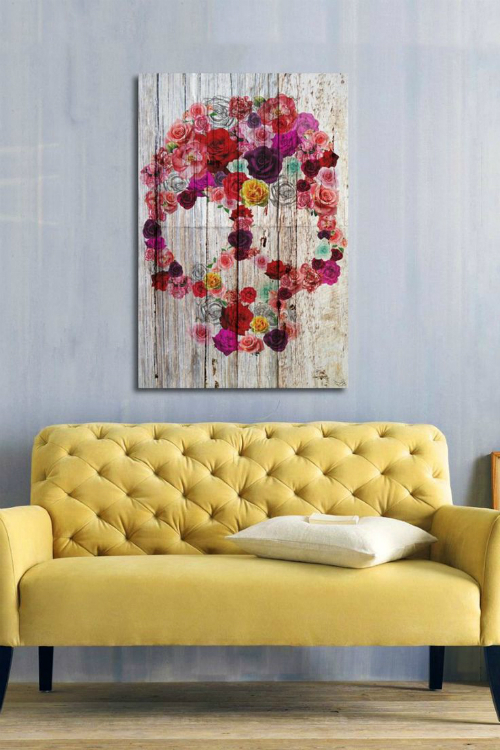 I have very little interest in ever wearing any skull pieces or prints, however I might look for ways to incorporate small doses into my home decor. Using a skull to house blooms makes a surprisingly pretty centerpiece for a Dia de los Muertos-themed dinner party. 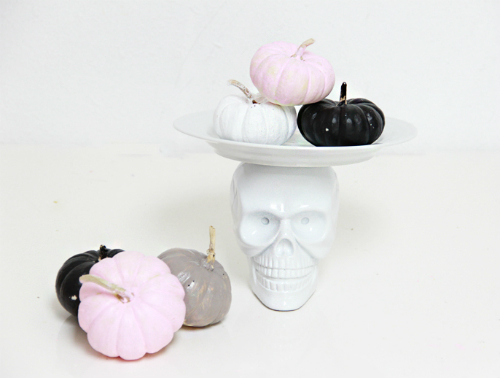 Painted pumpkins seem to soften the scariness of this skull. 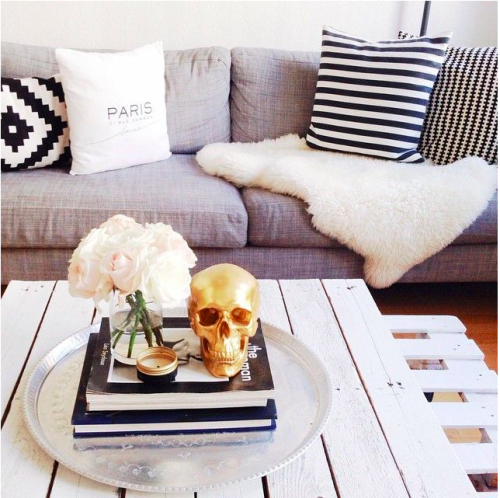 A glam meets grunge skull is more statement piece than spooky on this coffee table vignette. 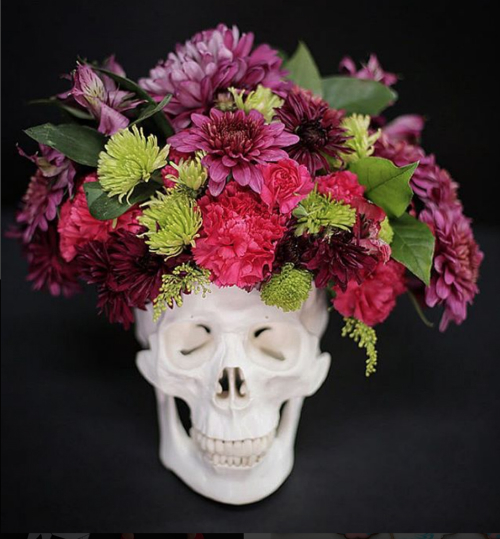 At first glance it's actually hard to make out that this is a skull--the colors are so bright and cheerful.